Geologists are involved in a range of widely varying occupations with one thing in common: the privilege of studying this fascinating planet. In Canada, many geologists work in the resource industries, including mineral exploration and mining and energy exploration and extraction. Other major areas where geologists work include hazard assessment and mitigation (e.g., assessment of risks from slope failures, earthquakes, and volcanic eruptions); water supply planning, development, and management; waste management; and assessment of geological issues on construction projects such as highways, tunnels, and bridges. Most geologists are employed in the private sector, but many work for government-funded geological organizations, such as the Geological Survey of Canada or one of the provincial geological surveys. And of course, many geologists are involved in education at the secondary and the postsecondary levels. 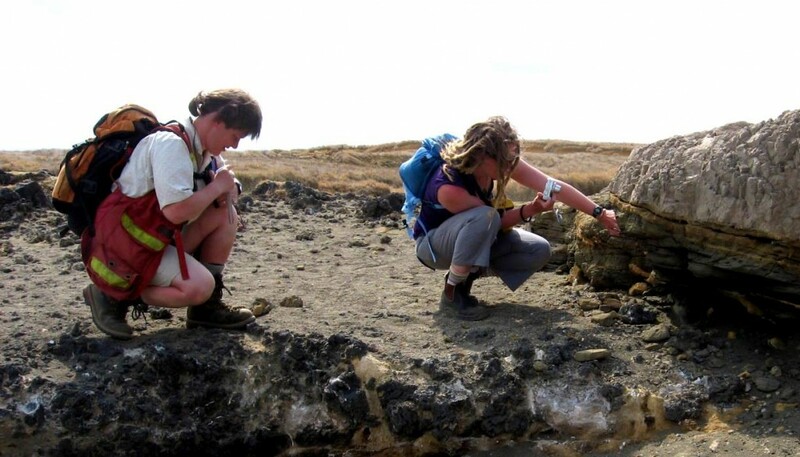 Some people are attracted to geology because they like to be outdoors, and it is true that many geological opportunities involve fieldwork in places that are as amazing to see as they are interesting to study. But a lot of geological work is also done in offices or laboratories. Geological work tends to be varied and challenging, and for these reasons and many others, geologists are among those who are the most satisfied with their employment. In Canada, most working geologists are required to be registered with an association of professional geoscientists. This typically involves meeting specific postsecondary educational standards and gaining several years of relevant professional experience under the supervision of a registered geoscientist. Information about the Association of Professional Engineers and Geoscientists of British Columbia can be found at: https://www.apeg.bc.ca/Home. Previous: 1.2 Why Study Earth? 1.3 What Do Geologists Do? by Steven Earle is licensed under a Creative Commons Attribution 4.0 International License, except where otherwise noted.